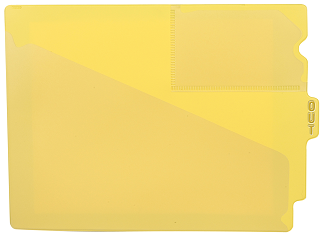 Tabbies 74584 Yellow Large Tab Vinyl Out Guides are flexible enough for easy handling, yet resist cracking and tearing. 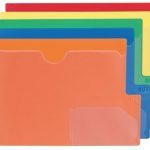 These out guides have double sided “OUT” tabs which extend beyond the folder for easy view and access and includes multiple clear vinyl pockets for future items to be filed or to to hold charge-out slips which is Item #74559. Guides are heavy duty and features large tabs, a rigid vinyl back and stress contours on pockets to provide added strength and durability for frequent handling. 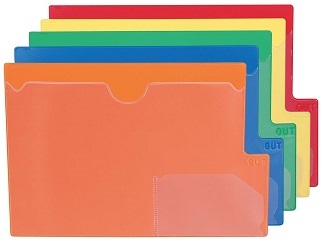 Other available colors include Red #74580, Blue #74581, Orange #74583 and Green #74585. 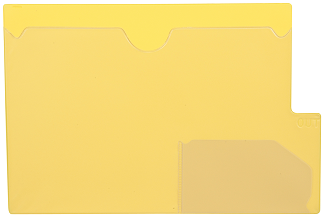 These extra durable out guides help to keep a place for a removed file which allows for easy re-filing. 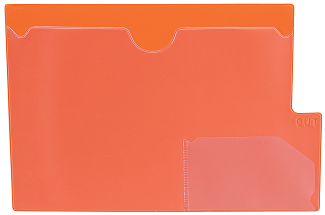 The guides include a pocket to hold letter size papers which need to be filed away once the original file is returned as well as a 3″ X 5″ clear pocket to store either a charge out slips or in house information. These large tab vinyl out guides have “OUT” embossed on both side of tab and come in a pack of 10. 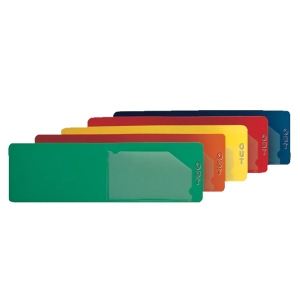 ALSO available are Center Tab Out Guides in Red, Blue, Green and Yellow as well as Bottom Tab Out Guides in the colors of Red, Blue, Green, and Yellow. 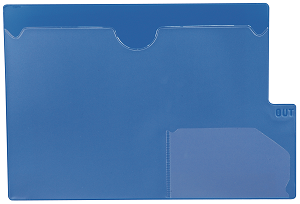 Another option are Economy Out Guides which are a cost-efficient choice when a full pocket is not necessary which includes easy to read “OUT” embossed on both sides of the rigid vinyl guides and they contain a single 3″ x 5-1/2″ pocket for charge-out forms. Letter size 13″w x 4″h.